Book a customized massage session at Evolve Massage & Wellness Center. 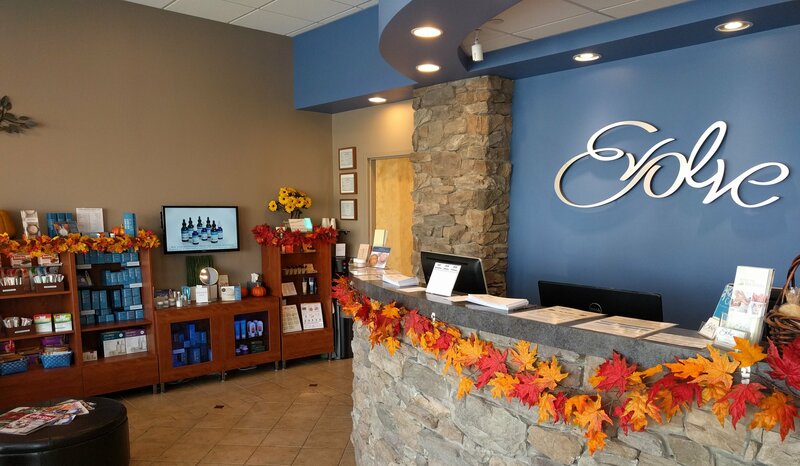 Indulge in some of the world’s finest massage therapies and facial treatments at Evolve Massage & Wellness Center, an award-winning spa located in the Pittsburgh area. We are a team of over 20 experienced professionals, including licensed therapists, cosmetologists and estheticians, and a chiropractor. We are all ready to help you evolve into wellness. Schedule an appointment and dive into the Evolve experience today. Does your wellness plan include massage? Receiving regular massage treatments with Evolve can help revitalize and strengthen your body, counteract the effects of stress, and boost your immune system. Let our state-licensed professionals tailor your services to your current needs! Whether it be massages or skin care, every service at Evolve is customizable so you get the most out of your session. Join our membership and reward yourself with exclusive member benefits, including discounted massages for you and your family, and savings on vitamins and skin-care products. “We had to drive 40 minutes for this massage, but given the service we were provided, I would do it again.” – Alyssa M.
“Thank you- both Kayla and Evolve – for such a pleasant first experience!” – Haley V.
“Honestly this [place] is probably one of the best kept secrets, and I am so glad I found it! I will definitely be returning.” – Emily S.
Schedule an appointment with Evolve Massage & Wellness Center today. Evolve Massage & Wellness Center is a locally-owned and operated health spa. We offer unique, customized massage treatments and wellness plans that will improve your health and restore your well-being. © 2017 Evolve Massage & Wellness Center, All Rights Reserved.